Ron: "Look, mates, I finally got the shrinking spell down!" Hermione: "Good job, Ron! Now please change us back." Ron: "Uh... How do I do that?" Hope you like it. I have been in a Harry Potter mood lately due to the new sets and ADHO15's HP Wizard's Duel (if you haven't joined yet, give it a go!) and was looking for something to do with the HP microfigs, so I came up with this. I'll make some more small HP MOCs like this soon. Nice little funny vignette! Perfect use for the HP microfigs. Nice MOC. Inventive use of the Microfigs, and the scene is nicely built too. The microfigs fit very well. 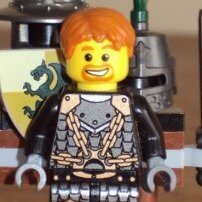 Looking forward to seeing more MOCs. Aaah Great little vignette. I'm a massive Lego Harry Potter fan too. Oh by the way Oky Wan Kenobi, Did you make that wall design by yourself ? It's really sweet, and I have all the stones to make it too. AWESOME 'Oky Wan', so simple yet you can trust Ron to get it wrong again ! Brilliantly funny! I just love the amazing pot of HP mocs and vigs we've been getting in anticipation of and after the release of the sets. Truly brings back the feeling I had when I read the books. Very funny! That's a great idea. 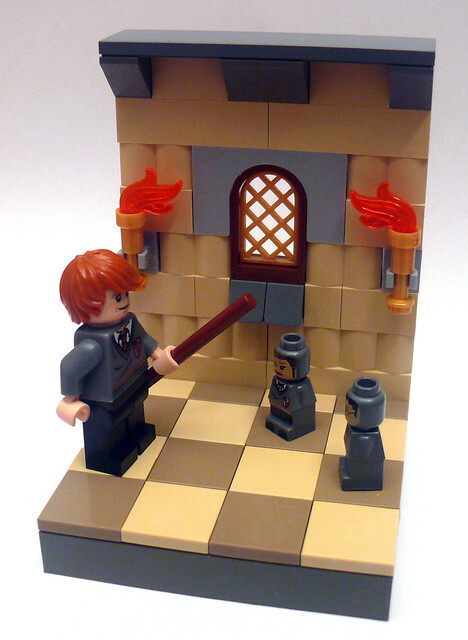 This is funny and a very good way to incorporate the HP microfigs into this vig. Cool! I like the little bit of wall. 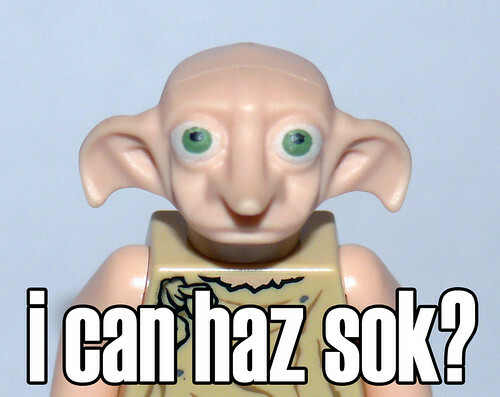 I also made a lol-Dobby. Well, I based the design on that of the new Hogwarts castle, but it's mostly by me, yes. 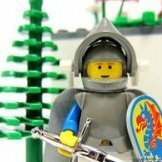 I would be honored if you used it in your great brickfilms! I also made a lol-Dobby. Care to share it? I couldn't find a link to your gallery anywhere. By the way, it's even funnier if you imagine Harry and Hermione with high voices. What does he Want from me?!?!?!?!?!? , very funny moc and picture combo Oky! A sock. Don't you know noob-speak? Adam Lambert started singing when he read this post. Great little vig, it really is a good use of the microfigs. Adam Lambert scares the s@!$ out of me. Anyway, great vig! I like your use of the new 2x2 jumpers! I kinda hope so too. If that happens, I totally call the patent! Thanks, I was wondering if anyone would notice. Yes, I like figs to be steady on my vigs. Oky, the Adam Lambert reference...he sings a song called. "What Do You Want From Me".